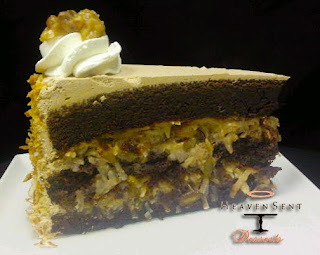 30th Street Blog: Heaven Sent Desserts - Cupcakes and German Chocolate cake! Heaven Sent Desserts - Cupcakes and German Chocolate cake! For the last 30th on 30th of 2011 Heaven Sent Desserts has chosen their very special German Chocolate Cake to celebrate with. It's a very rich and moist chocolate cake, filled with German chocolate filling and iced in a delicate chocolate buttercream - definitely for the chocolate lover! And, best of all - for the 30th on 30th it's only $5.75! 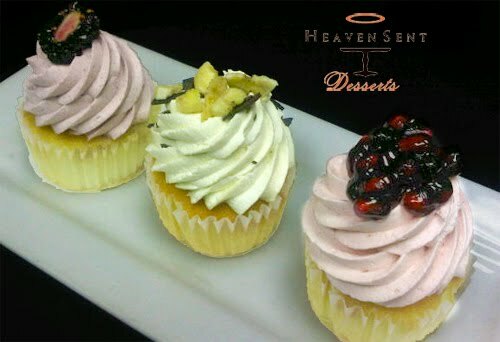 If you are not a chocaholic we have a delicious Trio of Cupcakes - Blackberry, Banana and Pomegranate. Beautiful to look at, yummy to taste. For your pleasure offered this evening at $5.25 only!